Old poet, new playwright, I write to explore the underlying, often hidden patterns of everyday life, nature, and society. In a lifetime of observation and travel, teaching and editing, but above all writing, I have created a raft of poems, as well as essays on social and political questions, an epistolary novel on the end of the Roman occupation of Britain. Now I may be about to launch a series of plays on aspects of the life of Elizabeth Bishop, one time U.S. poet laureate. Born in Ossining, NY, ‘in the shadow of Sing-Sing,’ I grew up first on Mt. Airy Road in Croton-on-Hudson, my father taught at the progressive school, Hessian Hills and I was a student there. Next, I lived in Depression-Era Provincetown, followed by Manhattan and finally during World War II, Washington, D.C.; New York City, however, was the center of my universe. My mother was a native from the Gas House District, and my grandparents lived out their lives in the city. My mother married the artist, Jack Tworkov and lived with him in the Village. Later she and George F. Willison, my father, got together. “JoJo,” as I called him, was a non-academic ‘independent author,’ best-known for his book on the Pilgrims, was Saints & Strangers (Reynal and Hitchcock, 1945). He was later National Editor for the WPA Writers Project’s State Guide Series, and then a speechwriter for the Democratic National Committee. 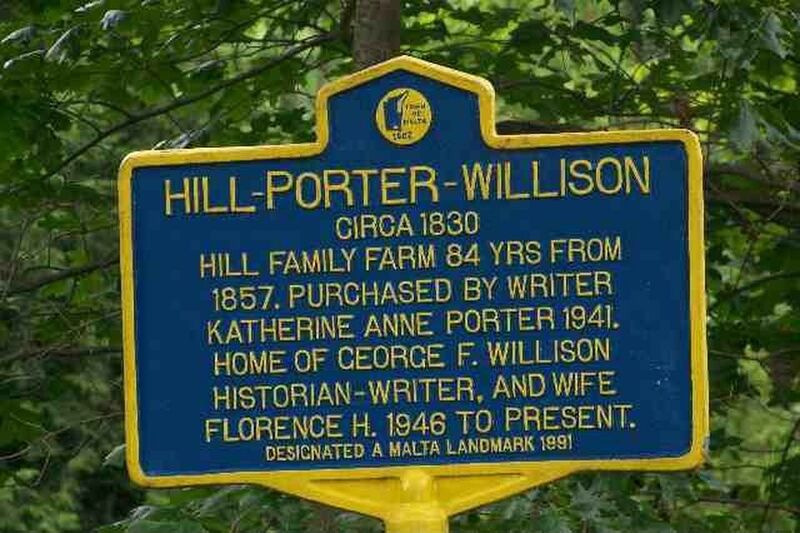 I graduated from high school in Saratoga Springs, NY, because my father’s best-seller, Saints & Strangers, gave my parents the money to purchase their first house, “South Hill,” the name given it by my parent’s friend, Katherine Anne Porter (Ship of Fools, Little, Brown, 1962), from whom they purchased the converted farmhouse in Saratoga County, New York. Living so close to the Writers’ Colony, Yaddo, a long list of writers came for dinner at South Hill, including a very young Truman Capote, who, afraid of a bat, sequestered himself in the coat closet one afternoon. Writer and activist Agnes Smedley (Daughter of Earth, Feminist Press, 1973) lived with us briefly after being cast out of Yaddo for her politics. KAP, as my parents called Katherine Anne (Porter), visited but could not stay—the dampness which had forced her to sell South Hill, worsened her asthma. After high school, I attended Swarthmore and then Cornell for graduate work in sociology, anthropology, and Southeast Asian studies. I worked as a social research editor in NYC, and then taught at William & Mary, Princeton, Vassar, Union, Siena, and Tulane. I was a partner in a social science research firm, and also a manuscript editor for a long list of mostly academic books and articles, primarily in history and social science. 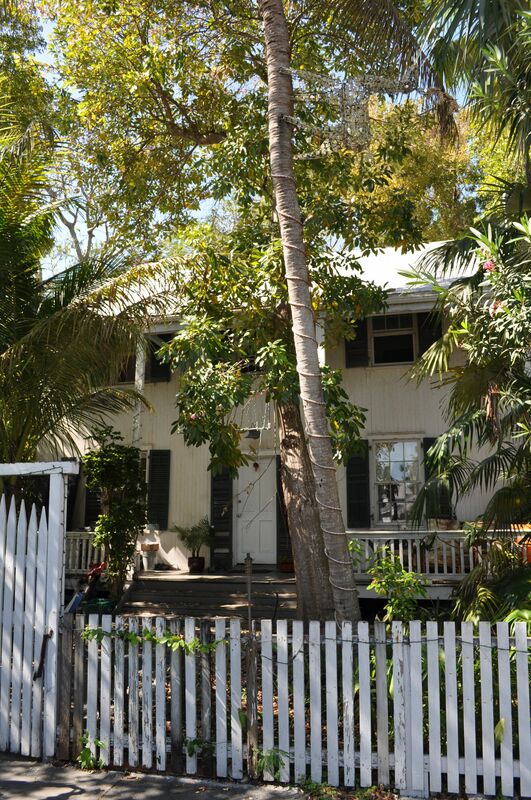 Elizabeth Bishop's home at 624 White Street in Key West, where she lived on and off from 1938 to 1946. Above: Elizabeth Bishop, likely in Key West. Below: Bishop and Louise Crane. whose voices reach the street out here. near an unrevealing lit window. wrapped in greenery—real or plastic? R: Bishop sunning on steps, presumably in Key West. Bishop's former home at 624 White Street in Key West. 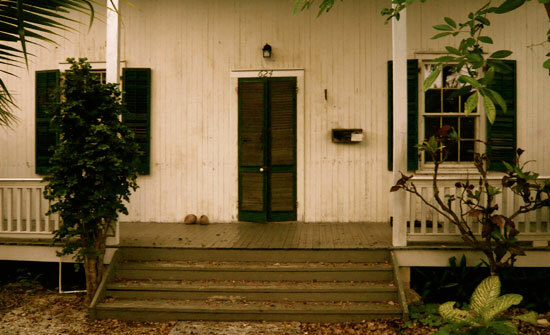 SCENE 6: “Oh, Marjorie, … I know how strongly you feel … I should not come back to Key West. … But I just couldn’t stay on in New York…. I have decided to sell the…house. I’ll finally…travel…where I can work. … You won’t come with me… . I do hate to sell that house of mine: I’ve always loved it, whatever its problems, and my own. … I need … a quiet place, with … lots less alcohol. Malcolm's play will be presented at TADA! Theatre on October 7th at 7 pm, along with 2016's other winning submissions. The TADA! venue is a Chelsea NY theatre shared between EAT performers and a children's theatre group. While "A House of One's Own" was performed last May in Key West by Fringe Theatre to much acclaim, there was no time set aside for audience feedback. EAT's New Works series provides time at the end of each play for comments and suggestions, which are highly encouraged. Please join us on the 2nd floor (elevator available) for the play's performance and to offer your thoughts afterwards. Tickets are $10 and can be purchased online here. 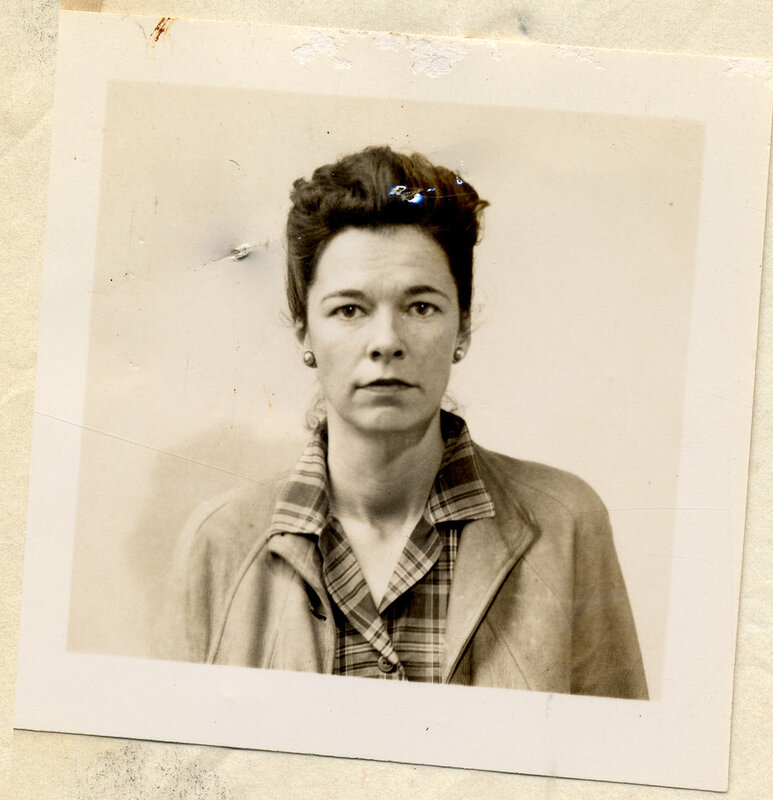 Malcolm Willison, old poet, new playwright, uses letters and poems in a monologue by young Elizabeth Bishop, later U.S. Poet Laureate (1949-50). A House of One’s Own chronicles, during WWII-era Key West, Bishop’s increasingly difficult relations with her house, her lovers and friends, and with poetry itself. Bishop talks of her purchase, occupancy, renting out, and finally selling her house at 624 White Street in Key West. She loved her house, while losing one partner (Louise Crane) and then another (Margaret Stevens). 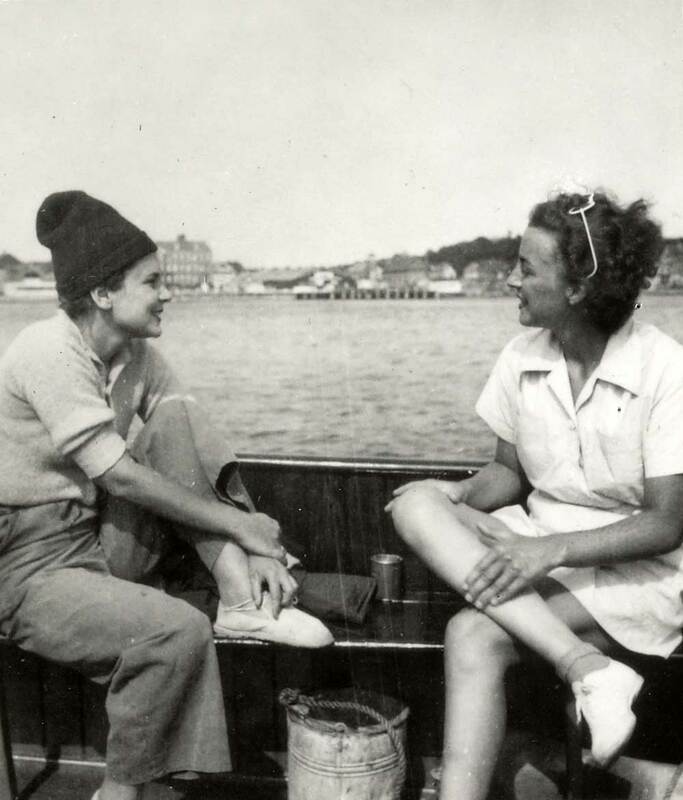 Sinking into alcoholism and writer’s block, young Elizabeth Bishop managed in the end to persevere in life as a poet. The Emerging Artists Theatre (EAT) New Work Series is a three-week developmental festival that provides artists of different disciplines the opportunity to present one night of a "work in progress" with audience feedback. A small group of applicants are selected annually to participate, and this year marks the 15th anniversary of the series. Successful Fringe, NYMF, and Off-Broadway shows have been born out of this festival. Join us in the Parish Hall of St. Paul's Episcopal Church at 401 Duval Street in Key West, FL for a free evening of theatre. All plays have been created by local writers in Toby Armour's playwriting workshop, and will be read by local actors with Fringe Theatre. A rough draft of my short play, A House of One's Own: Elizabeth Bishop in Key West, will be performed as a monologue which intimately chronicles Bishop's life around the time she began living in Key West.